We thought the Goodyear Blimp had landed in our backyard when we stepped outside after we got home from our trip to Maryland. 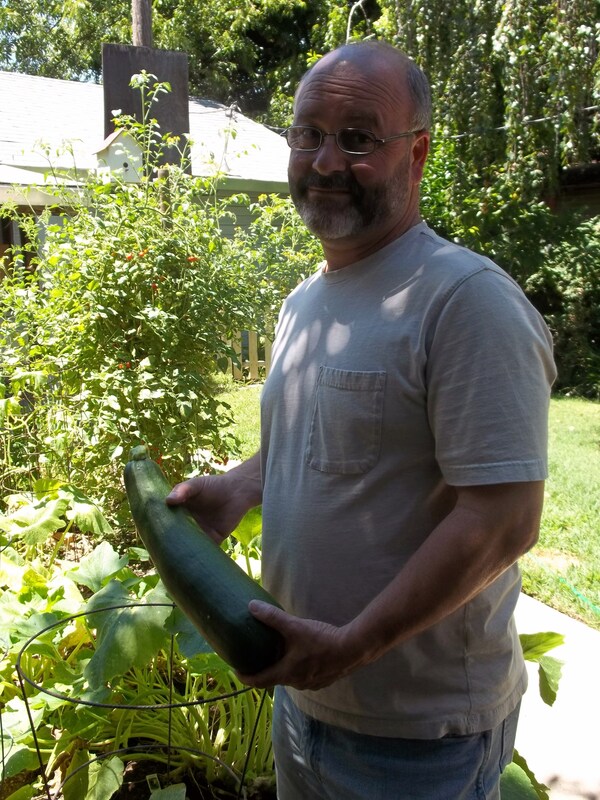 But it was only an overgrown zucchini. 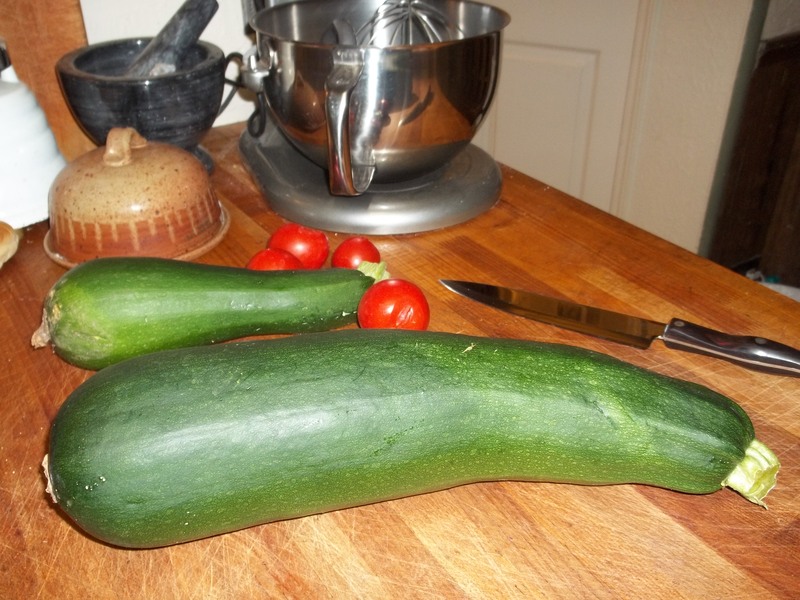 Always the subject of much joking – what do you do with huge overgrown zucchini? It has been suggested that one can be hollowed out and used as a canoe…But I have a better idea. 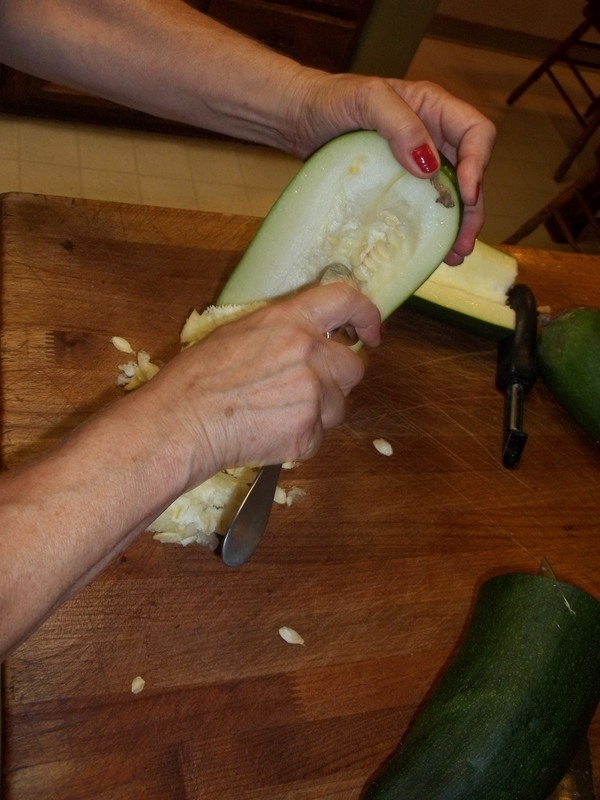 Zucchini can easily be frozen and made into delicious creamy soup in November when it costs about three dollars a pound in the produce department. 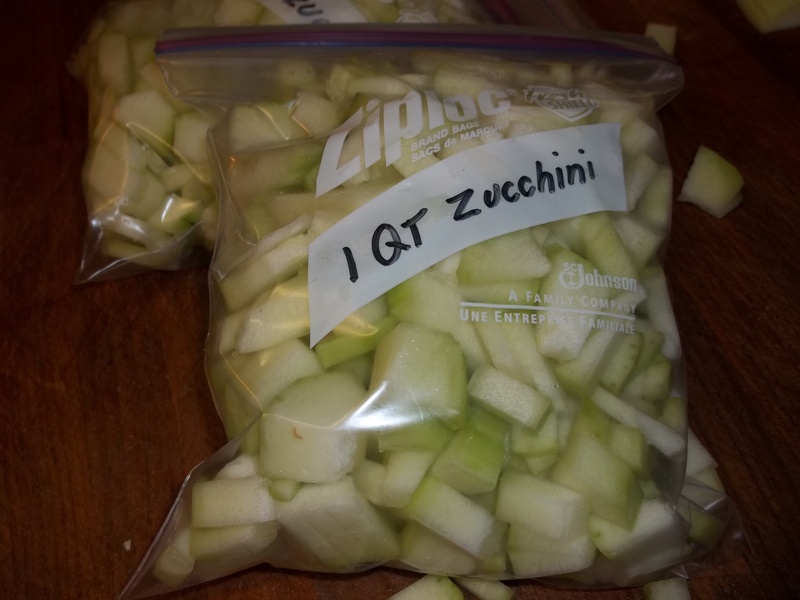 … in order to freeze it in quart bags. 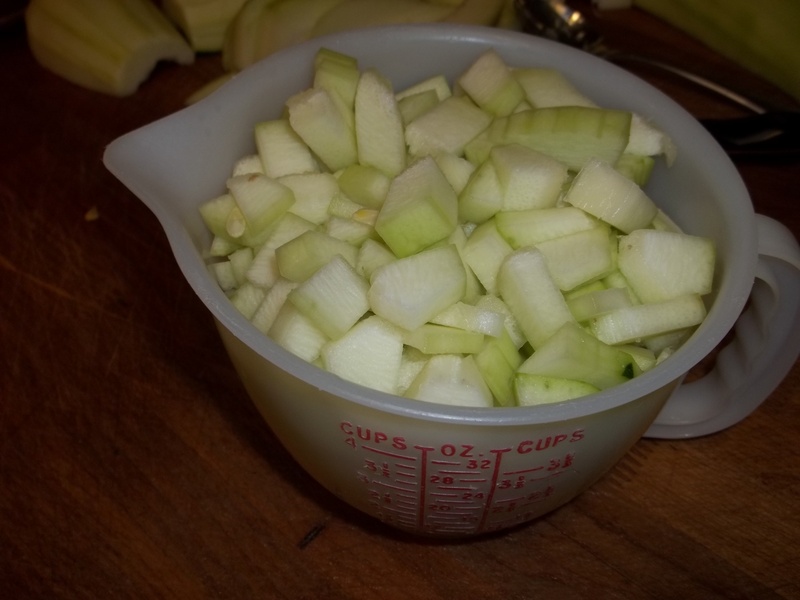 This will be a perfect amount of zucchini for a pot of my delicious, easy, cream of zucchini soup. 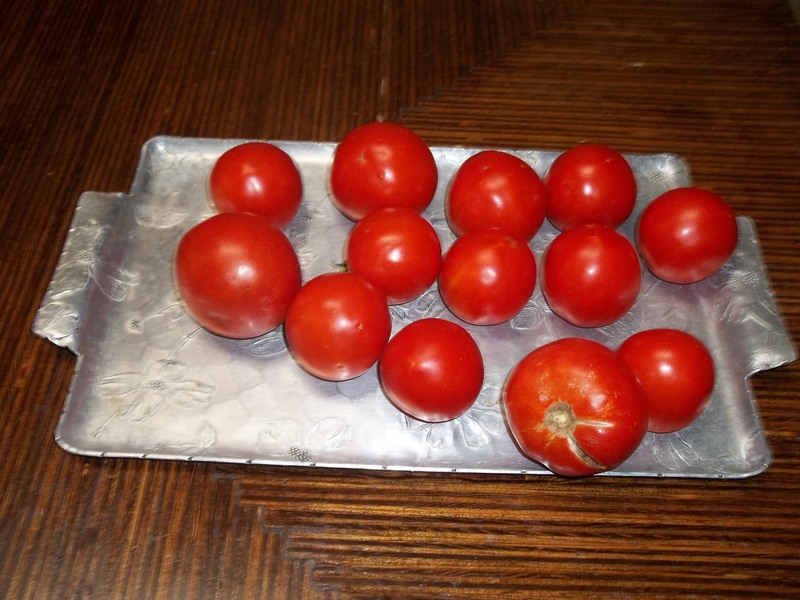 I’ll post my recipe around the time of the first frost… Right now I’m going to go eat a fresh drippy tomato! Did I mention that we also found more ripe tomatoes than we knew what to do with, as we explored the wild overgrown tangle of our garden? Salsa, salads, tomato sandwiches, sharing with the neighbors…and there were still some left. 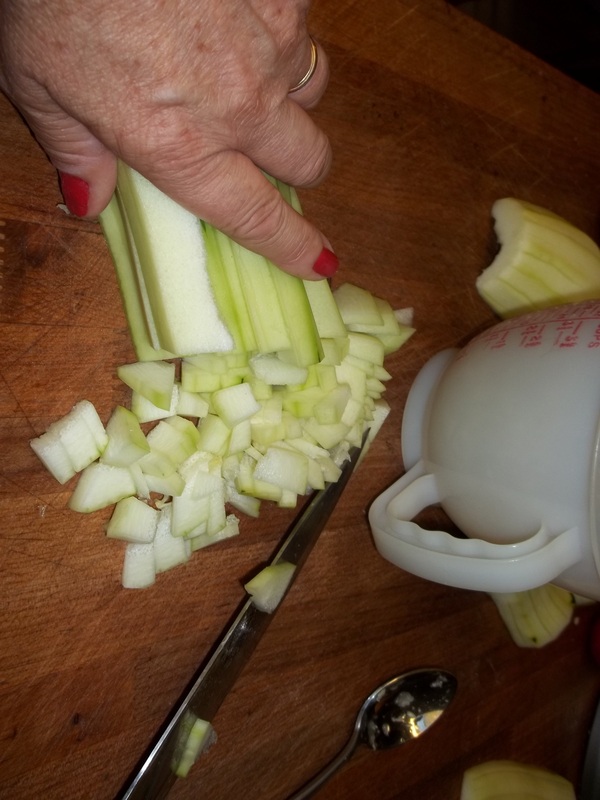 You don’t have to blanch them or peel them. You don’t have a dozen jars to wash. Just wash the tomatoes and freeze them on a tray. After they are frozen solid you can dump them into a bag and be pretty rough with them, but be gentle with them before they are frozen. And then in a few months – say November or December – when tomatoes cost about three dollars each (and taste completely bland!) you can pull out your bag of tasty frozen tomatoes. 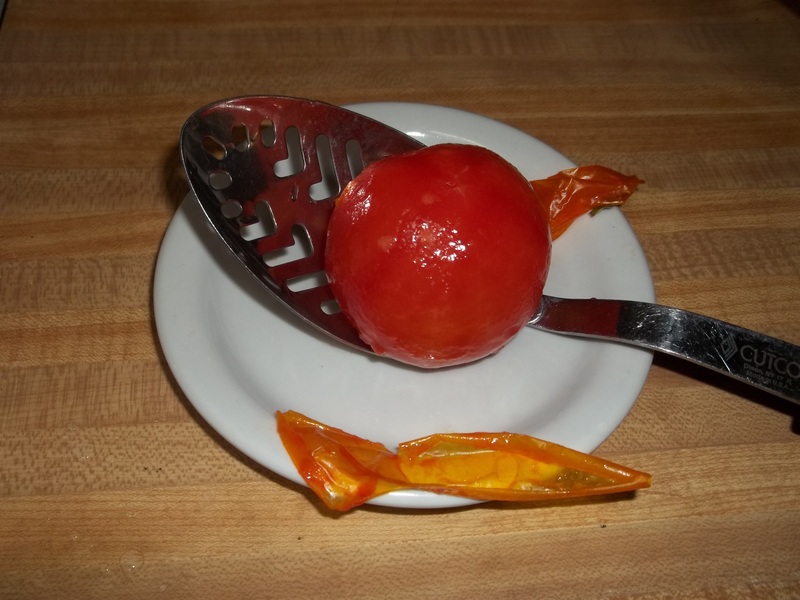 Dip the frozen tomato in boiling water for about 15 seconds and the skin will slide off easily. 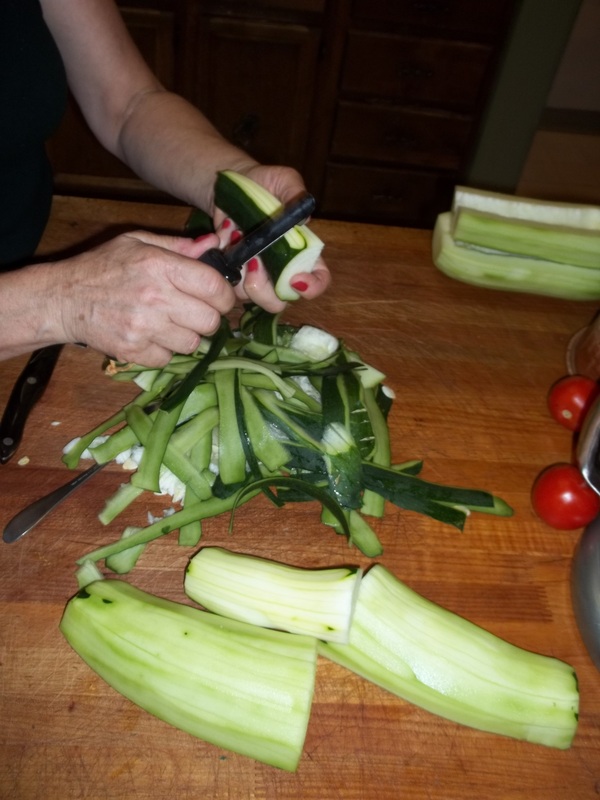 Then let them defrost, and chop them up for your own delicious fresh, tasty salsa, or soup or marinara sauce! PS – You can save summer strawberries and grapes this way too. Wash and core the berries. Pull the grapes off the cluster and wash them. 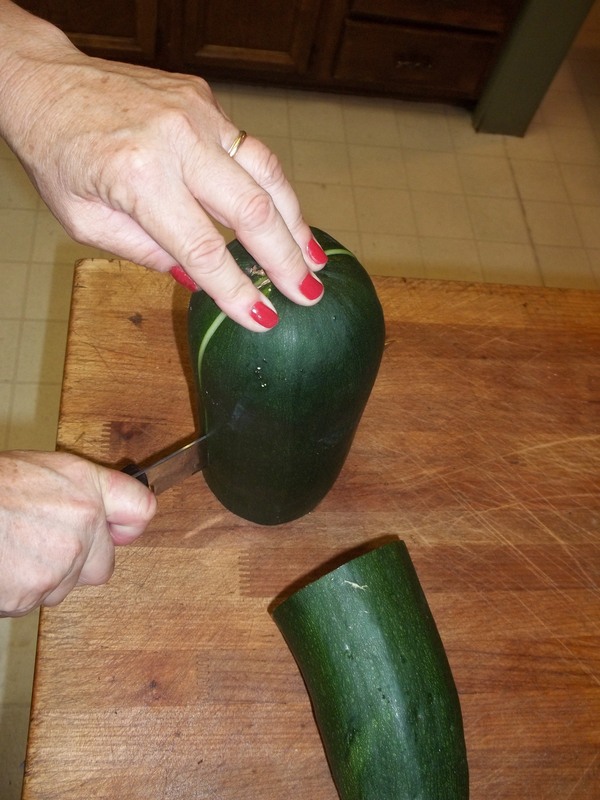 Freeze the fruit in a single layer on a tray and then dump it into a regular plastic bag or tupperward container.